Happy New Year! If you resolved to get out more and see more art in 2018 you’re in luck! The Art&Seek calendar is chock full of all sorts of art-related activities to help you keep that resolution. Here are just a few we’ve hand-picked to get you started. Elm Street Studio in Keller kicks off the New Year with an exhibition of new works by award-winning portrait painter Sarah Graham. 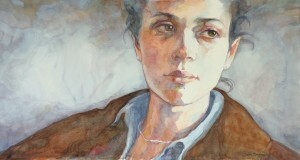 Her watercolor portraits are said to capture the spirit of the subjects and are a response to real life challenges. 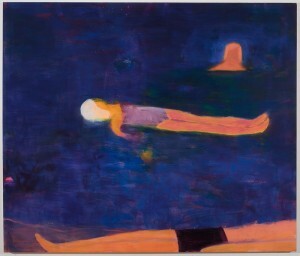 See her show, “Extra in the Ordinary” through March 2. The Dallas Museum of Art has delved into the permanent collection to showcase fine examples of garments and decorative hangings. The pieces range from a Japanese fireman’s coat to an Indian sari and a Chinese dragon robe. You can see “Asian Textiles: Art and Trade Along the Silk Road” through Dec. of 2018. 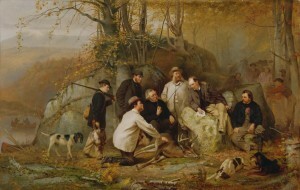 Hunting, fishing, and hiking have long been muses for artists. See important works featuring these outdoor pastimes at the “Wild Spaces, Open Seasons: Hunting and Fishing in American Art” exhibition showing at the Amon Carter Museum of American Art in Fort Worth. A son is determined to get to the truth behind his father’s fantastical stories in the musical “Big Fish.” Check out this Junior Players production at the Moody Performance Hall in Dallas. Acclaimed photographer Laura Wilson has a new exhibition at Fort Works Art. Her show, “Laura Wilson: Photographs in the West,” explores the artist’s vision of Western culture through her extensive travels through the American West. It’s on view through Feb. 3. Makerspace SCRAP Denton has a new Artist in Residence program. Head there tonight to meet artists Jess Tarr, Brittany Shaban, and Cynthia Giron and to see their work. They created pieces from unconventional materials in SCRAP’s inventory. 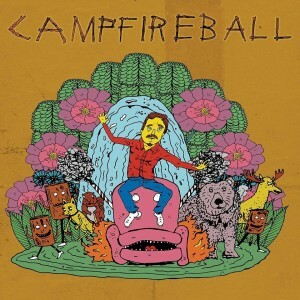 On Saturday, the LA-based variety show “Campfireball” heads to Deep Vellum Books in Dallas. Cory Howard, weaves together performances from local comedians, musicians and storytellers with an immersive, audience-driven storyline. Colorful canvases and geometric shapes are a few of the tools used by artist Robert Taite. 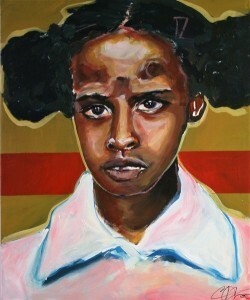 See for yourself on Saturday at the opening reception of his show “Vague Motives” at Fort Worth’s Cydonia gallery. The Ella Mae Shamblee Library in Fort Worth hosts the exhibition “The Way We Were.” Check out the presentation to learn how artists and musicians have worked together to create epic album covers. Artists Molly Valentine Dierks and Yuni Lee draw upon Asian art practices like woodblock printing and Ikebana for their group show “Squeeze Machine.” The Dallas art gallery 500X presents the two-person art show that explores the relationship between nature and technology. Members of the Stewpot Art Program are showing their work in the Bradshaw Gallery, the gallery located on the 4th floor of the downtown Dallas Public Library. The show is free with proceeds going to the The Stewpot Artists and The Stewpot’s art program. Cowboys, explorers and Indigenous Americans are represented in paintings and sculptures in the exhibition “Legacy.” Check it out at the Sid Richardson Museum nestled in Fort Worth’s Sundance Square. Art&Seek Spotlight Artist Sherry Owens is part of a group show that’s bringing attention to women sculptors in Texas. See “Commanding Space” at the Amon Carter of American Art in Fort Worth.